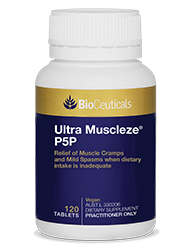 Combining magnesium amino acid chelate and active B6 in a convenient tablet, helps support a healthy cardiovascular system, muscles, nervous system and may relieve symptoms associated with premenstrual syndrome. 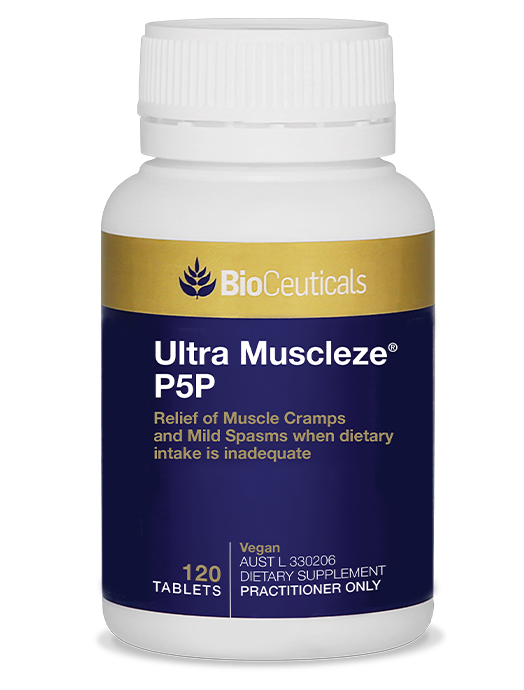 Ultra Muscleze P5P may assist with the relief of muscular aches, pains, cramps and spasms. 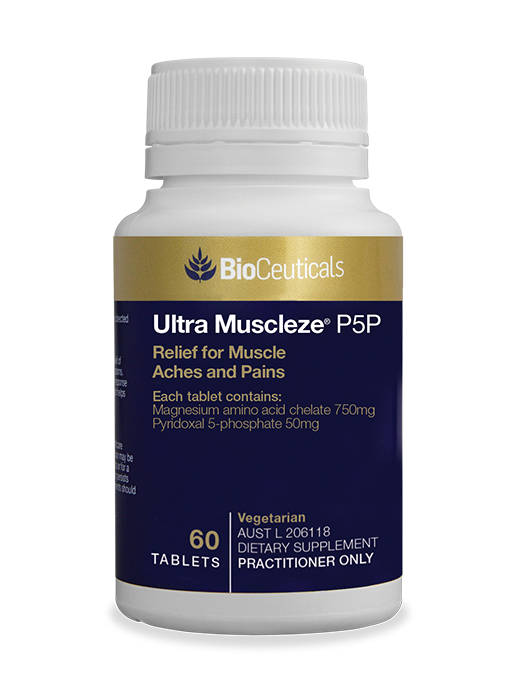 Magnesium supports healthy muscle contraction and relaxation. Magnesium and vitamin B6 are both involved in healthy nervous system function. Contains 150mg elemental magnesium and 50mg active B6. 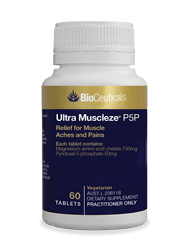 May relieve muscular aches, pains, cramps and spasms. May relieve PMS symptoms, including menstrual pain and cramps, mood swings, anxiety, irritability, fluid retention, bloating and breast tenderness. May be beneficial during times of stress, as stress has been associated with lowered magnesium status. Adequate magnesium levels are important for the maintenance of a healthy mood. May relieve symptoms of morning sickness (nausea and vomiting). Magnesium assists in the maintenance of healthy vascular smooth muscle tone and contractility, helping to support the cardiovascular system and normal healthy heart rhythm. This product contains pyridoxal 5-phosphate which may be dangerous when used in large amounts or for a long time. Vitamin supplements should not replace a well balanced diet.